Delivering a child is a complicated procedure that requires the correct timing, proper technique, and swift action in the event of an emergency. Your healthcare provider and his or her staff have a responsibility to continuously monitor you and your child during labor to address any issues that arise and to take necessary steps to ensure a problem-free delivery. When these medical professionals fail to fulfill this responsibility, the health and safety of both mother and child are placed in jeopardy. Delivery errors can take many forms, including a delay in performing a timely C-section or failure to adequately monitor fetal heart rate, which may result in severe brain damage and other catastrophic consequences. If you or your child has suffered a health issue or injury due to an error during delivery, you can hold the medical professionals who are at-fault accountable for their negligence. At Fronzuto Law Group, our seasoned New Jersey medical malpractice attorneys have represented numerous families whose lives were permanently altered as a result of errors during childbirth. Through extensive investigation, consultations with renowned medical experts, and an aggressive litigation approach, we work tirelessly to obtain the compensation that you and your child deserve. In order to begin planning for a secure future, it is important to understand all of your legal options. For additional information and to speak with a member of our medical malpractice team today, contact our offices at 973-435-4551 (toll free at 888-409-0816) or contact us online to schedule your free initial consultation. Doctors need to monitor the mother and child throughout labor and delivery to ensure that both are healthy. If there is an issue that arises during birth, doctors should take immediate action. For example, the baby may exhibit signs of fetal distress either during or immediately after delivery, such as a rapidly accelerating or decelerating heart rate, discoloration of the skin, or difficulty breathing. Depending on the exact circumstances, it may be necessary for the doctor to perform a C-section to save the baby’s life. Doctors need to act quickly to perform a cesarean section delivery when a more conventional vaginal delivery puts the health of the mother and/or the child at risk. For instance, the baby may be in an abnormal position that makes vaginal delivery particularly dangerous because the baby could be deprived of oxygen for too long. Even if doctors do make a quick determination and call for an emergency cesarean section, a delay in actually performing the C-section or other mistake during the complicated delivery can cause fetal distress, placenta previa, uterine rupture, cord prolapse, or placental abruption. Structural abnormalities in the child should be identified as early as possible so that all available treatment options can be explored well in advance of labor and delivery. Additionally, the early diagnosis of a prenatal birth defect can give the parents options and help them avoid a wrongful birth that leaves the child suffering from permanent disability. Prenatal testing, including screening tests such as a maternal blood screen or an ultrasound during the first trimester of the pregnancy, can allow doctors to identify potential health problems and then discuss any concerns with the parents. When the baby’s shoulder becomes lodged against the mother’s pelvic bone during labor, a complicated called shoulder dystocia, it may require the doctor to use alternative means to perform a successful delivery. If the doctor uses too much force in response to the delivery complication, it can result in the baby suffering injuries to the neck, shoulder, head, as well as associated conditions like Erb’s palsy or Klumpke’s syndrome. The improper use of forceps or any other medical instrument during delivery can cause significant damage to the baby. Unfortunately, the failure to properly use forceps, in conjunction with proper delivery techniques such as the corkscrew maneuver or the McRoberts maneuver, may result in permanent injuries to the child. Hypoxia, or oxygen deprivation during labor and delivery, is a major cause of birth injuries. For instance, the umbilical cord can become compressed and cut off the flow of blood, the umbilical cord can become wrapped around the baby’s neck and inhibit the baby’s ability to breathe, or doctors can fail to take timely action to perform a C-section after recognizing signs of fetal distress. All of this can result in birth asphyxia and lead to permanent brain damage. Childbirth is supposed to be a joyous occasion – the beginning of a new life with the promise of a bright and wonderful future. Tragically, childbirth quickly become a nightmare when the doctor is negligent and causes a serious birth injury to either the mother or the child. 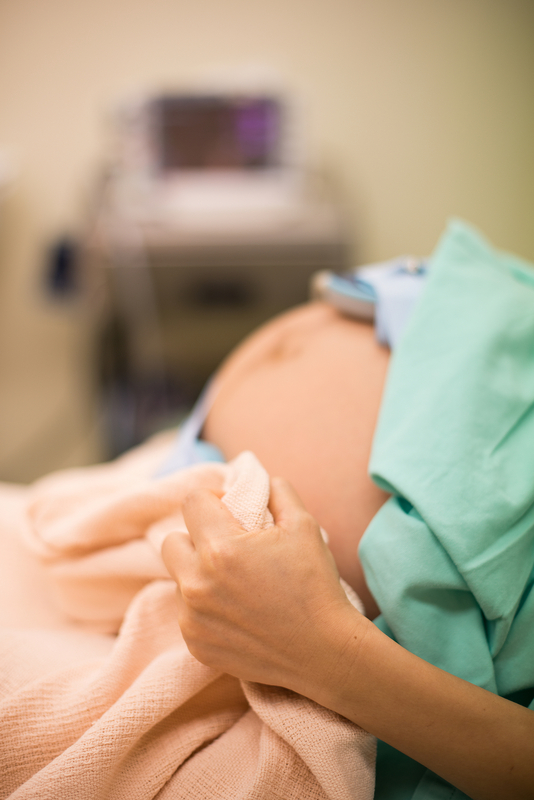 Moreover, these kinds of labor and delivery errors are becoming increasingly common at understaffed hospitals as obstetricians and nurses find themselves overworked and underprepared for emergencies that arise during pregnancy. In the worst cases, these delivery mistakes can result in significant physical injury, permanent disability, or wrongful death. Worse yet, many of these labor and delivery errors are avoidable. Hypoxic ischemic encephalopathy (HIE): a type of brain injury resulting from lack of oxygen during labor and delivery. Also known as perinatal asphyxia, it can result in severe and irreversible brain damage and associated problems with thinking, memory, mobility, and learning. Erb’s palsy: When the obstetrician misuses forceps or pulls too hard on the baby during a breech birth, it can damage the brachial plexus bundle of nerves in the shoulder and cause Erb’s palsy. Since these nerves connect the baby’s arms to the spinal cord, any kind of damage due to excessive pulling on the baby’s head or neck can result in permanent injury, including paralysis. Cerebral palsy – If the baby is deprived of oxygen due to birth asphyxia, it can damage the baby’s brain and cause the newborn to develop cerebral palsy that lasts for the rest of his or her life. A child suffering from any of the three main types of cerebral palsy – spastic, ataxic, or athetoid – may find themselves unable to control the use of their limbs due to poor coordination and muscle tremors. Facial paralysis – When the doctor applies too much pressure to the baby’s head during labor and delivery and bruises or tears the baby’s nerves, it can cause severe damage to the facial nerves and result in paralysis of the facial muscles. Broken bones – If the doctor causes obstetrical trauma during delivery, the baby’s fragile bones can be fractured. This kind of trauma may be more likely when an emergency arises during labor and necessitates the use of medical instruments such as forceps. The baby’s collarbone is particularly susceptible to injury due to excessive force being applied by the doctor. Infection – The mother can suffer serious illness if a bacterial infection such as meningitis or viral encephalitis if left untreated. This is especially serious if doctors performed a C-section delivery on the mother because doctors will need to make a large incision in order to deliver the baby, making it more likely that the baby will contract an infection. Our highly knowledgeable attorneys represent victims and families who were victims of a variety of delivery errors. Notably, these cases may involve a host of negligent parties, including obstetricians, gynecologists, midwives, nurses, nurse practitioners, lab technicians, clinics, hospitals, and other medical facilities. Depending on the type of delivery error and the severity of the injury in your case, you may be able to get financial compensation by filing a medical malpractice lawsuit. When we become involved in your case, we begin by conducting a thorough investigation to identify medical errors, consulting with experts who can attest to the negligence that contributed to your or your child’s injuries, and constructing a comprehensive portrait of the long and short-term repercussions of these injuries to support your claim. We seek full compensation for current and future medical care, the emotional distress caused by these injuries, and any other considerations that may be applicable to your case.